Shake, rattle and hold. 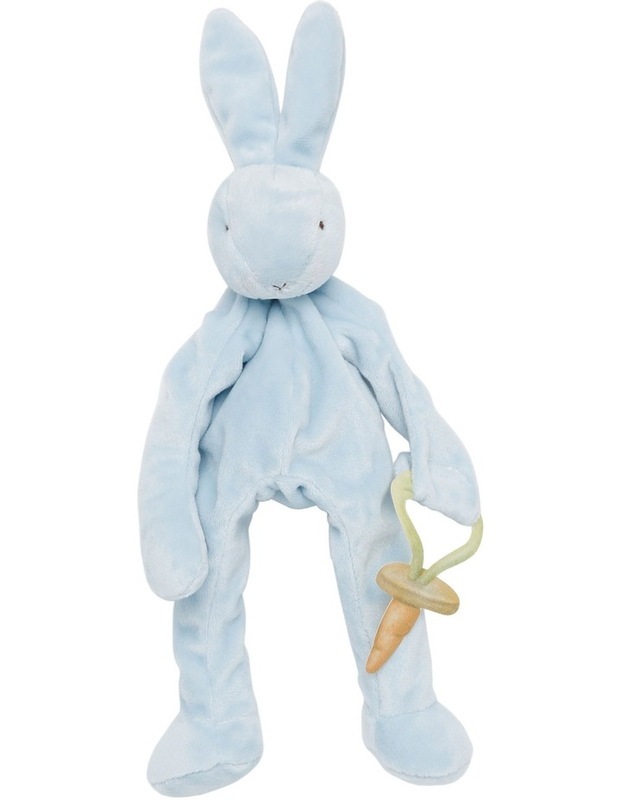 This soft blue Silly Buddy acts not only as a snugly friend, but as a pacifier holder with a handy loop and velcro fastener on the bunny's paw. Made with soft velour, a rattle has been added for extra fun. Floppy, sloppy, silly and soft, this playful pacifier holder can also attach onto baby's stroller, crib and car seat. Care Instructions: Machine wash & Tumble dry.